These photo collections show the Appalachian Trail through the eyes of individual hikers and what was important enough for them to capture on film. They tend to show the variety of characters that hikers encounter along the trail, their experiences along the journey, and the beauty and wonder of the Appalachian Mountains. 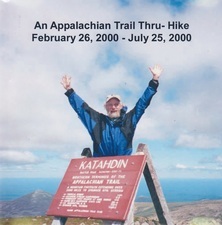 John "Lobo" Wolf hiked Northbound in 2000. Below are a few photos of his hiking adventures, before, during and after his Thru-Hike.